OTTAWA, ONTARIO April 5, 2018 – Gusto Worldwide Media, production partner for Bell Media’s Gusto, is proud to announce that FISH THE DISH has been nominated for a prestigious Rockie Award in the Lifestyle category. A full list of nominees is available at rockieawards.brunico.com. The Rockie Awards celebrate excellence in television and digital content from around the world. With annual participation from more than 40 countries, The Rockie Awards is one of the world’s largest program competitions of its kind. 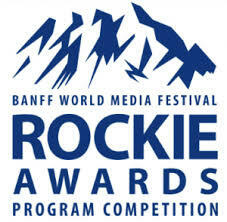 The 2018 Rockie Award winners will be announced at the Banff World Media Festival on June 11, 2018. Fish the Dish is a playful and delicious series that follows Chef Spencer Watts as he cooks up his favorite seafood dishes in preparation for his new cookbook all about fish. Showing viewers just how fast, easy and fun fish recipes are to make, Spencer enthusiastically plates up four unique seafood dishes in each episode. With a focus on beautiful, mouth-watering food and photography, Fish the Dish covers recipes for any occasion, using a wide assortment of ingredients, cooking techniques, and themes. Gusto, Bell Media’s first food and lifestyle channel, features a delicious mix of creative cooking and food programming paired with exciting home renovation, travel, and lifestyle shows. Gusto features a menu of original Canadian series and specials produced in 4K. Gusto is distributed to more than five million households across Canada and is also available online at www.gustotv.com and on-demand via participating television service providers. Gusto is a division of Bell Media, which is part of BCE Inc. (TSX, NYSE: BCE), Canada’s largest communications company.